SCARED of losing the Bahati parliamentary seat in their so called bedroom, PF cadres last night abandoned equipment for issuing national registration cards after they were cornered issuing cards to villagers around 20:00 hours. Alert villagers mobilised themselves and followed the PF cadres who had gathered about 400 people under cover of darkness. Villagers were being issued NRCs without police reports or any question as is traditional in the process. No official receipts were being issued. Upon seeing villagers approaching them, the PF cadres took to their heels leaving their clients in shock. Some of the villagers that had been waiting to get NRCs also scampered leaving behind their children while a few faithfuls gave chase. Provincial registrar Dorothy Chansa told UPND national chairman Mutale Nalumango and campaign manager Charles Kaisala who went to her office earlier in the day to complain that she was ordered by Mansa Mayor Emmanuel Chungu to send mobile teams to issue NRCs. Sources at her office further told the UPND team that the department had no resources for the exercise but the PF as a party funded them to enable officers draw allowances. One of the officers taking part in the exercise said Katangashi, Kapemba Misakalala, Mutuna and Myulu were the targeted wards the PF sought to have more votes using understand methods. Chipoka is the other ward mobile NRCs teams were dispatched to. In Katangashi, the villager got the equipment and took it to the nearest police station in Samfya but police referred them to the conflict management committee under the ECZ. Bahati residents have openly shown their displeasure to the PF saying they have gotten nothing from the PF despite supporting them. Feeder roads and health centres are being haphazardly worked on while distribution of relief maize in also going on. The PF campaign manager, who is also Minister of Health, Chitalu Chilufya has earned himself the nickname Mr Bonanza for dishing out hugesums of money to voters but his scheme is failing as voters across the stream in Senama have been told Dr Chilufya has diverted more resources to Chilapya ward in his constituency were there is a by election. Despite all the underhand methods by the PF, the people of Bahati have wizened up and have rallied behind the opposition UPND candidate Jerry Bwalya. Local PF officials have also been working with the opposition UPND in protest against the candidature of PF’s Charles Chalwe whom they say is not from Bahati. 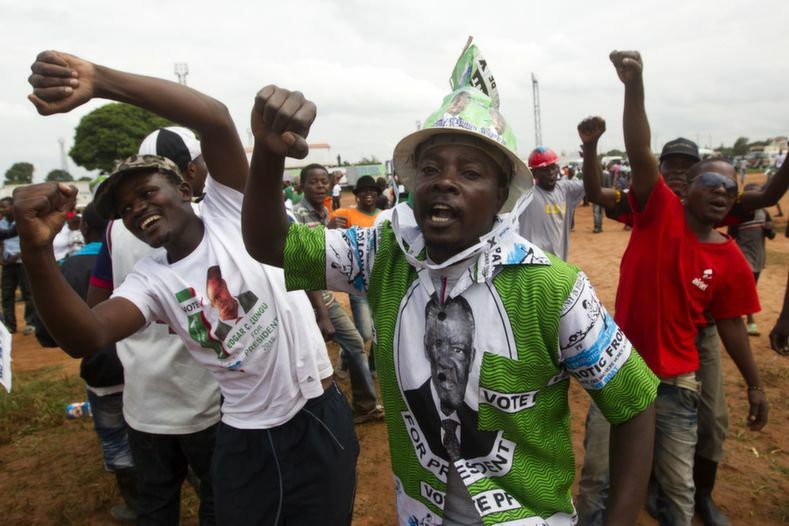 The PF is divided over the choice of their candidate who is not known by the locals and have resorted to hook and crook to retain the seat. Desperation ba Watchdog – so how do they vote without a voter’s card? Authenticate your story by adding pictures of the abandoned equipment or children. It sounds like a cooked up story that way, may be it is. I am just trying to be analytical, please do not insult me, I love you all.